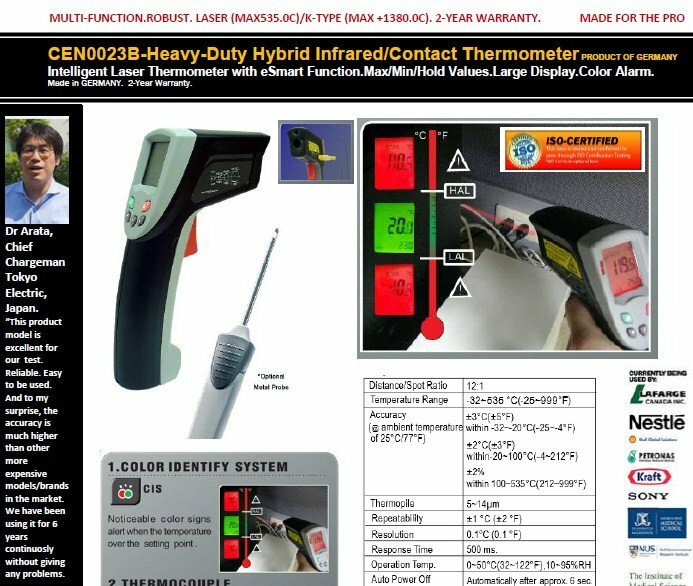 This unit is the intelligent non-contact infrared thermometer. 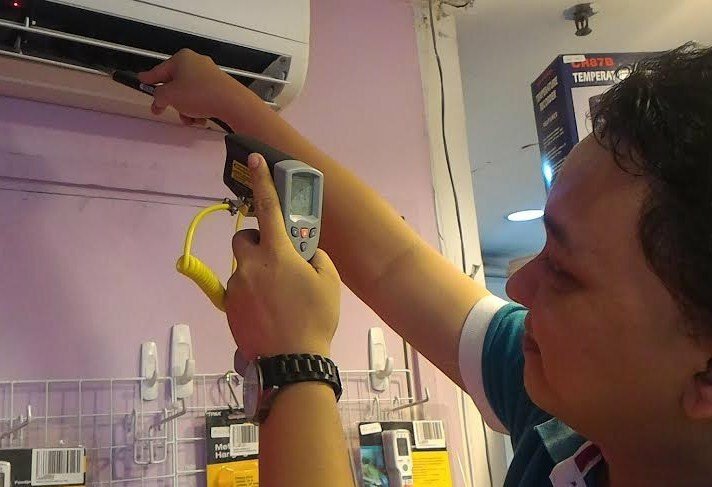 Beyond the conventional temperature measuring instruments, two novel functions are build-in. 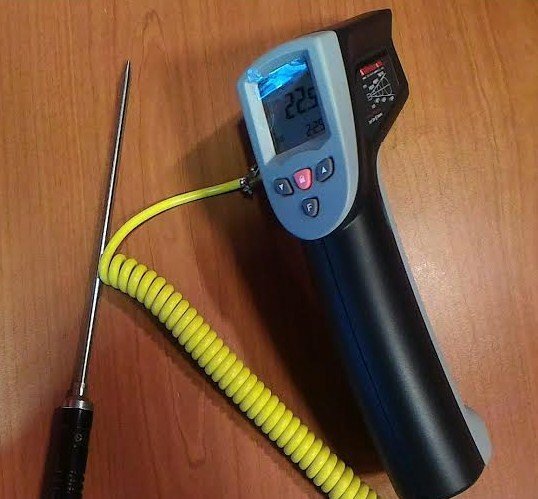 With eSmart function, it is highly beneficial for users to measure the target temperature without knowing and checking the emissivity of material (properties of surface). 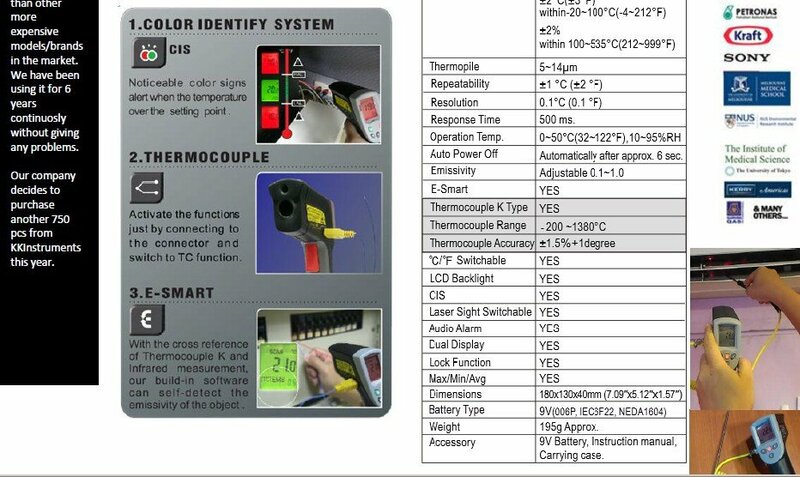 Moreover, the noticeable color signs alert the user when the temperature over the setting point of alarm temperature. 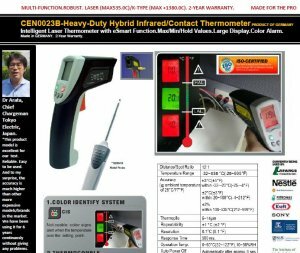 CIS: Noticeable color signs alert the users when the temperature over the setting point of alarm temperature. Manufacturing processes of semiconductor technology.